A beached sperm whale has been discovered on England’s east coast, making it the fifth whale to wash ashore in recent days. The carcass of a fifth sperm whale washed up on a beach in the county of Lincolnshire, the coastguard reported on Monday, according to Reuters. “HM Coastguard can confirm that a fifth whale has washed up near Wainfleet, (Lincolnshire). The area is currently inaccessible,” the statement goes. The police have closed off the site and sightseers have been asked to stay away from the carcasses. 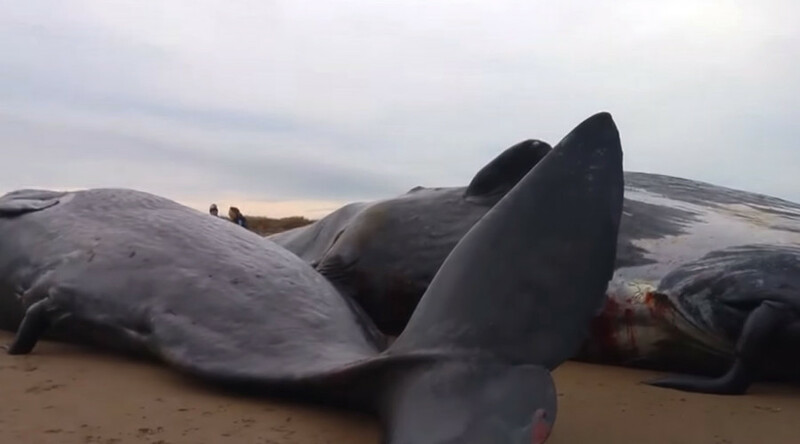 Four other cases of beachings include a dead whale found in Hunstanton on Friday and three others that were spotted in the seaside town of Skegness over the weekend. The cause of their deaths has yet to be established. However, this is not the first time whales have run ashore. 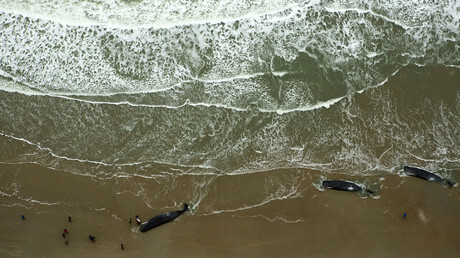 There have been similar cases in Germany and Demark, where as many as 12 whales died. The whales may not have been fully-grown and ended up in shallow water looking for food, marine biologists believe. Experts from Britain’s Cetacean Strandings Investigation Programme are to carry out an autopsy that may shed some light on the nature of the whales’ demise.